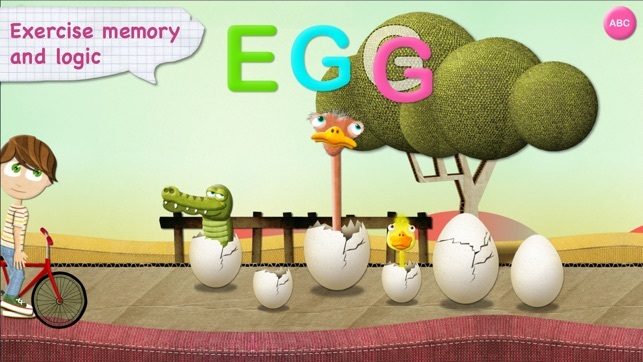 Have you ever seen the letter E hatched from an egg? How about a K popping out of a kangaroo’s pouch? 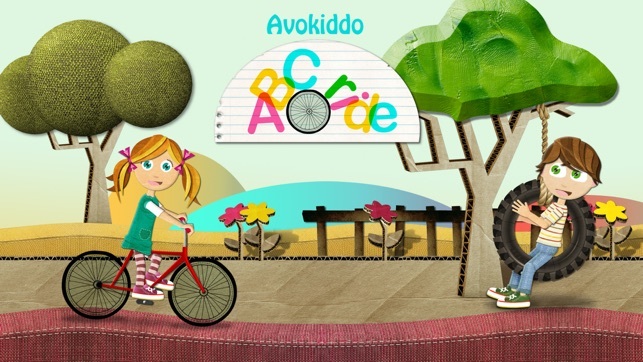 Ride your bike and enjoy an exciting hide and seek, letter adventure with Beck and Bo! 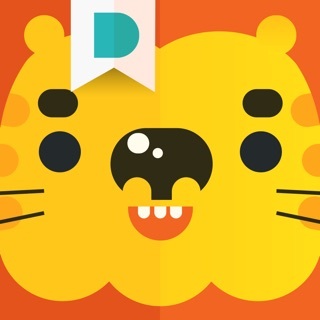 Solve fun puzzles, find the hidden letters, learn the alphabet and practice spelling in this educational word puzzle game! Start your journey by putting Beck or Bo on the bike. 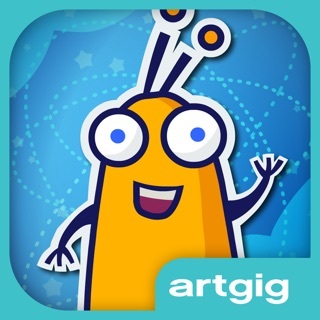 Drag the bike to move seamlessly across 26 interactive scenes loaded with fun preschool activities and puzzles. 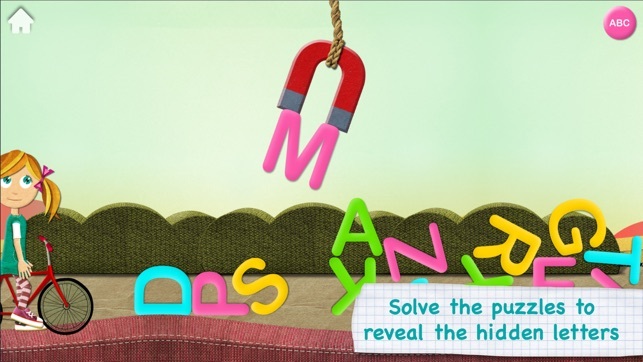 Each scene offers a unique, hide and seek game associated with a letter and a word. The G is wrapped in a Gift, the H is hidden under a Hat, the S swims with the Seal, the J is jammed up in the Jelly, the W is pulled out of a Well. Kids will use their logic, observation and problem solving skills to find the hidden letters in a whole host of scenarios and unexpected animal encounters! 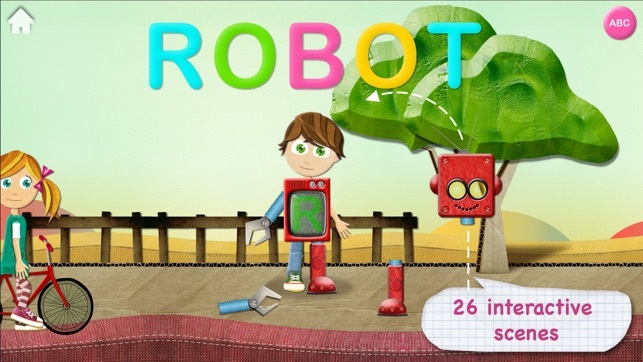 Bathe the cute pig, feed the hungry hippo, take care of the crying baby monkey, match vegetables, build a robot and so much more! Learning the alphabet has never been so fun! 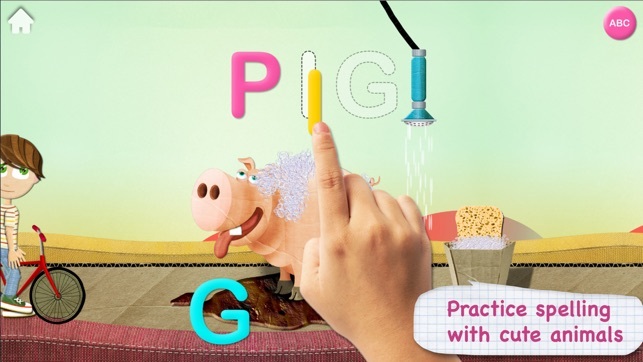 Practice spelling, phonics and word recognition! Drag the letters in place to spell the words while listening to the letter names or phonetic sounds. Choose between lowercase or uppercase letters. Adjust the difficulty by having letters shuffled or in order. Each scene is accompanied by a short speech narration that provides clever hints through inventive and memorable alliterations. "Jump and jiggle on the jelly to find the J", "Make the magnet meet the M", "Fill the four flowerpots with flowing water to find the F". The sweet narration adds a storytelling aspect to the activities, helps build vocabulary and enhances kids' listening comprehension. I viewed this app before purchasing it. I was impressed with its reading readiness skills and the application of technology skills as well. In comparing it with other apps, I was sold on this one. Problem: How do I get to hear any sound? I have checked and rechecked my device and there is no problem with it. Hello, thank you for the nice review! Please contact us here avokiddo.com/contact and we'll help you with the sound issue. My two year old daughter loves this game. The only issue I have is that the kids don't wear helmets when riding the bike. I wouldn't have thought about it but my kid kept asking where their helmets were.